Next weekend (19th & 20th May) and the following Bank Holiday weekend (26th, 27th & 28th May) The Sylva Foundation Wood Centre opens its doors to the world at large. All the tenants open their workshops and other artists and makers set up in the open workshop area. You can meet furniture makers, wood carvers, upholsters, artists and, of course two boat builders – that’s me and Gareth Lewis. There are courses on offer from upholstery, green woodworking, wood carving as well as making a canoe paddle. On Thursday evening, 24th May, Sylva is hosting the WoodWords event where five authors talk about their latest wood and tree themed books. I think there is a bar and somewhere to sit down plus the opportunity to meet the makers based at the Wood Centre. You need to book a ticket for this event so go to www.sylva.org.uk. This beautiful 1908 double Thames skiff will on display. 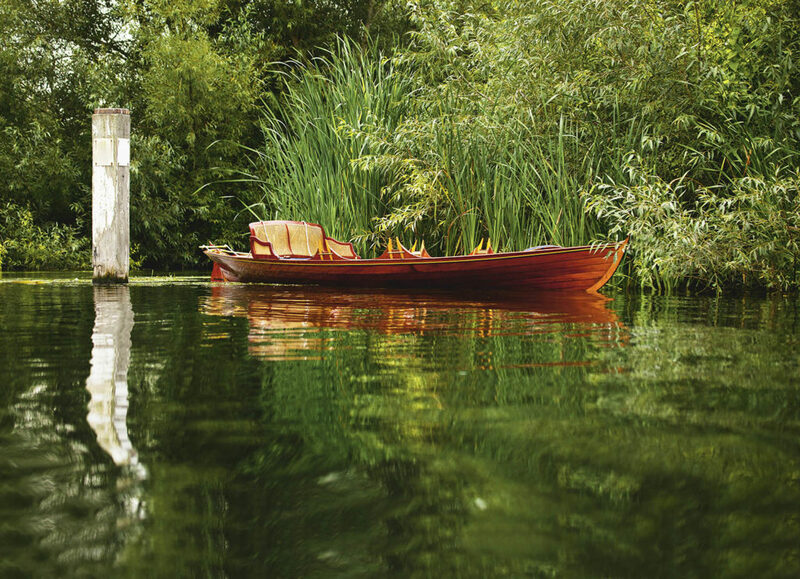 Colin Henwood is a boatbuilder with 40 years experience of building, restoring and caring for wooden boats on the Thames. When time permits Colin writes for WaterCraft Magazine, runs practical courses at The Boat Building Academy in Lyme Regis and at the Sylva Foundation Wood Centre where his workshop is based.